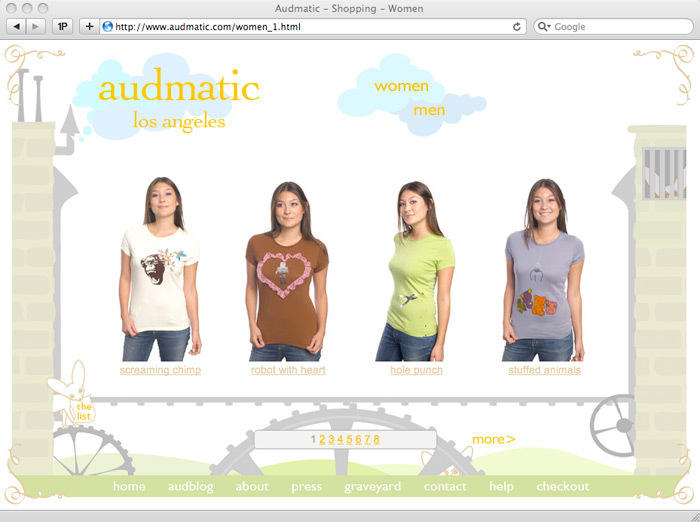 Audmatic, a very eclectic artist and t-shirt design company, needed an invitation for their super-naughty “7 Sins” opening party in honor of her new t-shirt line. 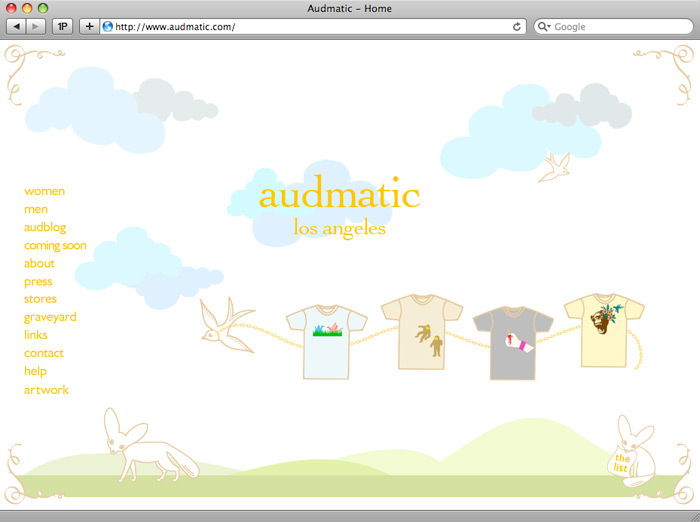 Designed and implemented a new e-commerce website for this eclectic & edgy t-shirt designer: be sure to visit the site – there’s some surprising interactive elements. 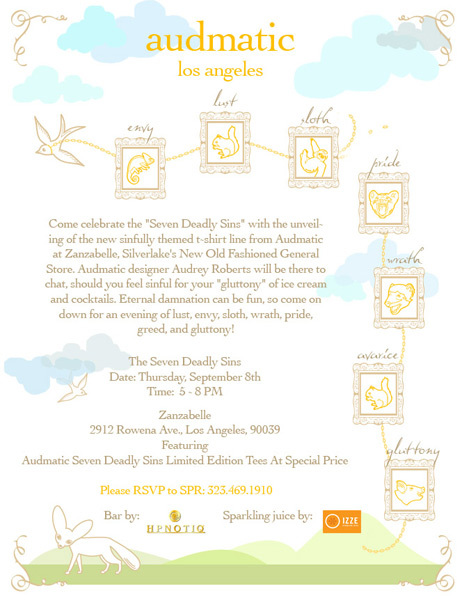 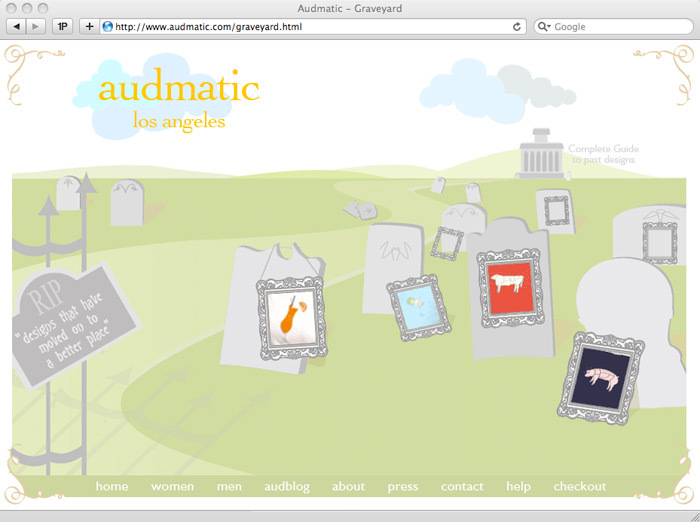 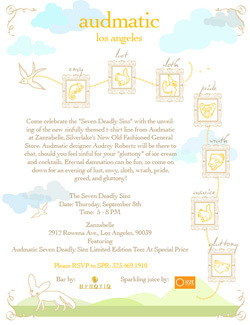 WackyPuppy also designed an invitation for Audmatic’s “7 Sins” special event. 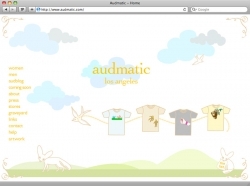 Designed and implemented a new e-commerce website for this eclectic & edgy t-shirt designer: be sure to visit the site – there’s some surprising interactive elements.